Kazuhiro Soda is a New York based documentary filmmaker, originally from Japan. Initially, he made his living filming documentaries for television. This involved pre-prepared scripting, pre-production, concise shooting time, plus editing and post-production on behalf of the television studio. Soda considered this typical method of film documentary creation, to be very limited with preconceptions or the agenda of a television network getting in the way of the subject being explored. Though he may have had consistent employment making such documentaries, he felt that a more raw and primal method of filmmaking might edge nearer and clearer to the heart matter being filmed. After some consideration, he developed his own methodology and wrote his ten commandments of Observational Filmmaking (see the commandments on his Kazuhiro Soda’s website). These methodologies try to minimalize the impact of preconceptions, so the camera observes people and action, presenting the story as it unfolds, by people speaking for themselves. The filmmaker occasionally asks questions, out of his own curiosity, but everything is unscripted and of the moment, depending on how the story unfolds. He advises no scripting or research. No meeting of the subjects before filming. He rolls the camera himself and edits without a theme or goal in mind. He explores the filmed footage and perceives what cascades forth. He avoids any additional information that might influence the thoughts of the viewer, so voiceovers, music, super-imposed titles are not used. The viewer will have no guidance; watch the film and make of it as you will. He encourages the filming of long uninterrupted takes, if the moment arises. Pay for everything yourself! This is a manifesto for the independent filmmaker, bound to no paymasters with an agenda. Make the film, if it has legs, it will run of its own accord. This is a fascinating way to create film. Whatever aspect of life is being explored, going into it with no research or script almost seems foolhardy, but Kazuhiro Soda filmmaking results, indicate he is onto something interesting. This is not about objectivity/subjectivity, or even fact or fiction, but about the stories that people tell and their interactions and a more subtle aspect of truth can be ascertained, from this raw style of filmmaking. This human method is used effectively in the documentary “Mental”. It is about the stories people tell about their own lives and the viewer has to decide what one is willing to accept. “Mental” is filmed at a mental health outpatient clinic called Chorale Okayama Clinic in Japan. The patients are under the care of ‘retired’ psychiatrist Dr Masatomo Yamamoto. At the heart of the clinic is Dr Yamamoto and is every sense of the word, the ‘hero’ of the film. Dr Yamamoto is the absolute opposite of the populist, violent, modern (and ancient) hero that leaves a trail of death and destruction, he is a healer! He is so dedicated to healing, he has ignored retirement and is carrying on, serving the mentally ill of his community. The psychiatrist is equally as interesting as his patients, due to his unusual dedication. He has a very difficult job, but he engages and helps in the struggle of his patient’s internal battle with life and death. He heals medically through drugs, but also with intelligent therapies and advice, to give these vulnerable people a sense of worth and a re-engagement with their own individuality. The job of being a mental health practitioner is very challenging. There are no quick fixes, but there are limited cures. Dr Yamamoto attempts to guide his patients, so they can accommodate their illness and try live some semblance of a life. Kazuhiro Soda films mentally ill people, in consultation, about their daily lives and aspects of occupational therapy. He shares cinematic space with these sufferers of mental illness, to tell the own stories and their own truths. The care workers and receptionists are filmed too, how they interact with the patients, their worries and wit. It is interesting how both patients and health professionals have to deal with the ever changing nature of the State and how the authorities, with its bureaucracy, can have major impact on mentally ill people. Their treatment, medication and living circumstances can change with a stroke of pen. It is a tale told many times across the globe. Going into this documentary, Kazuhiro Soda doesn’t know any of the patients, their medical case histories or their personal life stories, but their experiences unfurl before the camera, like a Martin Buber-esque encounter. The act of communication is taken to soaring heights and horrifying depths. The Romantics might suggest; sublimity and pathos, joy and woe. Right from the start of this fascinating documentary, Dr Yamamoto is dealing with mentally ill people suffering from acute existential crisis. Kazuhiro Soda’s mobile camera follows a woman staggering around. A man holds open the door of the clinic. The woman has to grab hold of a chair as she stumbles through the door. She staggers into Dr Yamamoto’s office, as the man passes along her notes. An elderly man, in smart casual dress, sits at a table. The woman sits down emotionless, in a state of numbness. Dr Yamamoto arranges her file and prepares to take notes. Dr Yamamoto asks her what is going on. The lady says she has fallen out with two of her best friends. Dr Yamamoto is a doctor of the old school, with an almost scientist style approach to his patients, he takes copious notes as the conversation progresses. He asks simple questions and listens intently to the answers. The lady is in extreme distress from a seemingly trivial fall out, that has blown into a full on mental crisis, where her life itself is under threat. This is the nature of mental illness. People that are already in mental anguish, the day to day conflicts of life can have a serious consequence upon the psyche. The ladies unemotional mask breaks down as she explains that she tried to kill herself. Kazuhiro Soda concentrates the camera upon her face, in close up, filming the unfolding drama in front of him. This is the raw drama of life. The lady says that she has lost everything, and that her friends no longer want to see her again. Dr Yamamoto continues to take his notes and reflects on the drama. He asks her if they actually said that to her, she nods. The lady recounts that there have been several conflicts with her friends in the past, and she’s dealt with it by being the one to walk away from them. Unfortunately, this time they are the ones who left her and the lady is traumatised. There is where Dr. Yamamoto’s empathic pragmatism shines through, stating that they probably felt bereft when she walked away from them. Dr Yamamoto suggests that she should find out why they are walking away from her. Sometimes the simplest advice is the best; find out what the issue is. Dr Yamamoto thinks it must be tough not knowing why they have a problem. The thought of asking them distresses the lady. The doctor reminds her that she has two children and that she can’t just die, she has to think of them. The doctor realises she has no medication left, so that will have to be looked at. He calls for the next patient. He has only limited time to deal with this lady that is in meltdown, he has a clinic full of people in various states of mental ill health. The lady staggers out of the consultation room and thanks the doctor, as he blows his nose, taking a large tissue from the large box of tissue for his patients. Kazuhiro Soda captures all the strange quirks and juxtapositions on his camera, made in one take. This all happens before the title of the film appears. Kazuhiro Soda films boats on a clear blue river, beautifully shot. A man cycles across a solid industry metal bridge. There is a historical building from Japan’s past, in the background. This is a sweet visual contrast. Birds fly in the clear blue sky. It is a beautiful day. The hustle and bustle of urban areas, people at work, girls gossiping walking to school, Kazuhiro Soda films snippets of everyday life. They contrast with the dramas of the mentally ill patients. 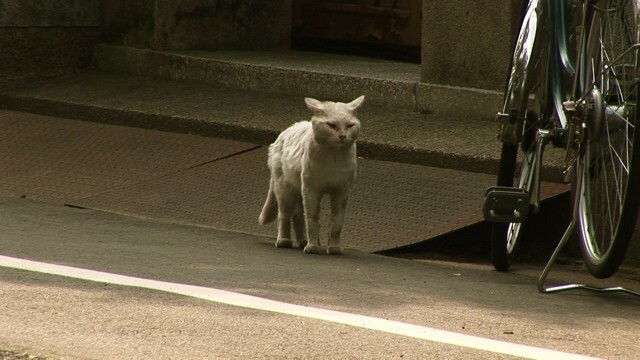 A tough looking white scraggy cat prowls around the streets, a natural born survivor. Kazuhiro Soda likes to inject a few cats, doing their thing, into his films. Many pairs of shoes, trainers and boots are strewn across the entrance of the clinic. Smoking is permitted in the waiting room, so three male patients puff away on their cigarettes, calming their nerves. The doctor is a pragmatist about such unhealthy habits; he can only deal with his specialty, the broken mind. Stressing out his patients with no smoking signs, would probably add to the anxiety. A younger man reads a manga comic, as another elderly gentleman sits quietly by himself, by the light of the window; some even take a nap on the floor, blankets and cushions are provided. A man kneels in pray. Each patient has their own waiting ritual. The lady the doctor has just seen is trying to calm down in the waiting room, sitting in contemplation. Kazuhiro Soda takes a close up of her wrist that shows recent evidence of self-harm, as well as older scars. She is probably in her early thirties. A middle aged woman is laid on one of the sofas, as an elderly lady kneels at the end of the room, as if in prayer herself. There is a dried brown leaf hanging by a thread on the window. This is an image that Kazuhiro Soda keeps coming back to throughout the film, like some strange sad metaphor. The plump prostate lady explains that she has bipolar disorder and she waits for the doctor at 6.30 am. Today she was too depressed to drive, so her elderly mother drove her to the clinic. Her elderly mother kneels on the floor and doesn’t look at the camera. She just has a look of sadness on her face. She is candid and matter–of-fact to the camera, but it must be very upsetting for her mother to hear such things, but she is trying to support her daughter. The lady is almost rational in her drive toward Thanatos. She has a desire to kill herself, which shows the depths of her existential crisis, driven on by her illness. She considers that her suicide would be a relief from her suffering. She recounts the fact that several of her friends ended their lives, and wonders if they felt a sense of relief. This is an incredibly tragic and morbid way of thinking, but this lady’s particular form of mental pain, must be very severe and despairing. At least she had the self-awareness to call her mother to help, so she could go visit Dr Yamamoto. Her suffering is sharp, but she is subconsciously clinging on to life. Any form of mental illness is traumatic in itself, but in Japan, issues around the mentally ill are taboo, and mainstream society tries to ignore the issue, sweeping it under the carpet. The prostate lady is lucky that her mother is willing to drive her to the clinic. Kazuhiro Soda captures her suffering with his concise camera work. The understated suffering of her mother is effectively described, as she stares at the floor, helpless. In-between the drama, the clinic’s staff go about their business professionally, with files piled up, notices pinned across the walls. They organize the patients, buzzing with activity. Mr Fuji is next in the consultation room with Dr. Yamamoto and he discusses his restless feeling with the doctor. He is constantly agitated and finds it hard to relax through the day. His days are in perpetual anxiety and he wonders if ending his life would also end his suffering. He is direct about his feelings with the doctor and candid without any histrionics. Though he feels this intense unease with life, on an evening he chants Buddhist sutras with his parents and he relaxes. He has discussed this with his parents, and they suggested that he is anxious through the day as he hasn’t any work to do. He delivers milk on a Wednesday and Friday, but they are the only moments when he works. He feels adrift because he had no set schedule in his life, thus his restlessness. The doctor doesn’t interfere with his self-analysis. The doctor asks what he thinks of his parent’s suggestions and possible solutions. Mr Fuji agrees that he might not want to kill himself so much, if he could do what he wanted to do every day. Mr Fuji eats dinner and chants sutras with his parents every evening, so the doctor asks if he feels irritated, as he is alone through the day. ‘Right. I suffer when I’m alone. A destination to go and a place to be are a reason to live. A simple enough suggestion, but it can be extremely important to someone who is coming to understand his mental health issues, but needs a nudge. Though Mr Fuji has existential problems, he is coming to rationalize the root of his own anguish, and Dr Yamamoto’s little push, could make all the difference to set him on the path to improve the quality of his life and mental well-being. Dr Yamamoto hasn’t the resources for full blown cognitive behavioural therapy, as he’s a one man band with loads of patients, but he tries to point those in the right direction. He suggests that Mr Fuji should think upon a few short term objects with achievable goals that he can focus his attention upon. This is an interesting example of basic mental health therapy in action. This thirty-something man, who has difficult mental health problems, is trying to understand and improve his situation. Kazuhiro Soda breaks up the therapy session with one patient singing a song, massaging another patient’s back, and then he playfully slaps him on his head. There is humour and banter among the patients, as they wait for a consultation. It seems many of the patients know each other quite well, as they regularly frequent and socialise at the clinic. It is a safe place for the patients to try connecting with other sufferers. Kazuhiro Soda intercuts a montage of various shots of the clinic and patients, with aspects of natures, leaves, plants and berries. The clinic has a garden filled with trees, where patients can relax. A middle aged lady, in jeans, sandals and a Dunlop sportswear style jacket sits reading a book on a bench, under the trees in the garden. Kazuhiro Soda focuses his camera’s attention on this lady, who seems relaxed. She comments on the beauty of the place and Soda’s camera pans up to a canopy of tress awash with the green of leaves. The lady explains that she visits the clinic twice a week, and she’ll even visit the Chorale clinic if she hasn’t an appointment, as it is fun. It is a safe place for her to relax. She jokes that she should have put some lipstick on for the camera, her wit is still sharp. Dr Yamamoto diagnosed this lady with depression and atypical psychosis, so she has some serious health issues to contend with. The lady explains how it can totally disrupt your life to the point that you can’t function as the mental anguish is so painful. A person’s self-esteem is battered. The lady, again, tells the documentary maker the gravity of her situation in a down to earth fashion. She is slowly beginning to accept herself, with Dr Yamamoto’s help. The lady now goes into her consultation which turns into something quite surreal. The lady has received a letter, which is very strange. Dr. Yamamoto reads the letter with interest. The letter is certainly pithy, outrageous with the absurd question at the end. Dr Yamamoto takes copious notes about the letter incident. Understandably, the lady is not pleased with this sexual harassment by letter. She asks questions about whether to ignore it or report it to the police; the doctor continues to take notes. He asks her what she thinks she should do. She has decided to ignore it, but to keep the letter as evidence. Dr Yamamoto asks her if she has contact with the sender, in which she replies, ‘no way’. The scene shifts and the mystery of the letter, is left to be a mystery. Kazuhiro Soda’s camera focuses upon a receptionist at work, sorting out files, taking phone calls. The last part of the inferno section of the film focuses on an over-weight middle-aged lady, in glasses, as she enquires at the reception to use their overnight facilities. The unfolding story incorporates several of Kazuhiro Soda’s commandments, the long take, delve in fine detail and respond intuitively to the moment. This lady unveils her long tale of tragedy. Kazuhiro Soda is not looking to verify facts, but to allow people to talk about their lives, from the own perspective. One of the clinic’s workers, a bright and breezy lady, takes her to an apartment. She can stay overnight, to rest and gather herself together. It is a little apartment with a bed, bathroom facilities, a TV, somewhere to feel safe. It seems the clinic has a few apartments for patients in crisis. When the worker goes off to find the key, Kazuhiro Soda asks a few questions about this ladies situation. She explains that she hears voices when she is at home and they tell her to get out of the house. She has slept out on the street for two days, as the voices insisted, but she found it too hard. She went to a doctor at the mental hospital, but she didn’t feel any better for it, but she remembered the short stay facility at Chorale Clinic. She needs a night to relax, before going home. She says the voices are constantly telling her to get out of her house, as she is not needed there. Even though she had no money, the voices terrify her so much, that she slept in the park. The voice is male, like some half remembered echo of her father’s voice, who abandoned the family many years ago, when she was a child. Kazuhiro Soda asks about the trigger for her mental illness, so she takes off into a long tale of despair. Her issues started at twenty, after some conflicts with her mother. She says that her mother locked her in their house, to stop her from taking a word-processing course, which she had to quit. Her mother promptly became seriously ill with cancer, as her father had abandoned them, she had to deal with the issues of her hospitalisation and care, make serious medical decisions on behalf of her mother, at a young age. She says she couldn’t cope with it and felt overwhelmed. She took an overdose of pills hoping to die and she opened a gas pipe. She felt so ill, so she rang a helpline saying she wanted to die, but she didn’t tell them where she was. They traced the call and came to her house. They decided she should be hospitalised for mental health reasons and this was the beginning of her mental health ordeal. She was married for a while, but with the mental health taboo in Japan, she says her husband wouldn’t allow her to visit the mental health hospital. Then she drops a bombshell that they lost their first child. She was really sick and hospitalised for a while. Once she was allowed home she had to visit the health specialists in secret, so her husband wouldn’t know. He had threatened to divorce her, if she carried on receiving mental health care. Their marriage lasted twelve years. When the marriage ended, her health became even worse, she started having hallucinations. It is from this moment that she started to visit Chorale and Dr. Yamamoto. Unfortunately, her health was so poor she was hospitalised at Kawada Mental hospital, on and off for over a year. She tried to regularly overdose on her medication, but the drugs she was taking wouldn’t end her life, but make her very ill, thus she was constantly hospitalised. According to the lady, she was forced out of the hospital, but she wanted to stay, as she didn’t want to stay in her apartment and she felt she needed more treatment. She felt she was abandoned by the doctor of the mental hospital. Kazuhiro Soda probes deeper about the loss of her first child and the answer is both tragic and appalling. Again Kazuhiro Soda gives space for the lady to speak for herself. He is not looking into the verification of facts; he is searching for deeper truth. She says her child died of abuse, which is a very serious situation. She says that she is the one that abused him. Her husband worked nights, but the baby was only one month old and kept crying. She tried everything from feeding him, cradling him, but she didn’t know what to do and she was exhausted. She says that her husband assumed that she could take care of the baby easily, like his ex-wife did with their child. It was her first child, she didn’t know what to do and her mum didn’t help her. She was alone and helpless and the baby had lost weight at the one month exam. The doctor said she was a bad mother which made her even more depressed. She needed advice, not personal attacks. Matters start to get out of control after she quarrelled with her husband before he went to work. She was desperate and the baby started crying. She covered his mouth and he stopped moving. Once she realised what she had done she tried to resuscitate the baby, but to no effect. The ambulance turned up with the police and she was arrested. The baby was still alive but in a vegetative state and his chances slim. A month later, sadly, the baby passed away. After such an incident, the marriage didn’t last and she could only feel sadness. A cop told that she’d be burdened with the deed forever. A year later though she had another child, and she wishes he had his older brother and that she could see him growing up. She says that she sees her dead son in her dreams; he is growing up and happy. Throughout the monologue, the lady is emotionless, but becomes more agitated as the story progresses. This is an intense and troubling section of the documentary, but the viewer has to decide on the veracity of the story given, in relation to her mental health problems. There is no doubt the lady suffers from acute mental ill health, but the undercurrent of the story, the taboo attitude of her family towards her mental health problems is unusual. If the mentally ill haven’t the support of family or friends, when they are in crisis, matters could go out of control horribly. Kazuhiro Soda soaks in the lady’s story and promptly moves on. The opening section of the documentary is full on with many of the patients in fatalistic existential crisis, exasperated or brought on by their long histories of acute mental health problems. Mr Fuji is the only patient who seems to have possible accommodation with his illness. Sometimes it is best to dive in head first and Kazuhiro Soda certainly does this, but he now shifts the tone of the documentary to the possibilities of therapies, but also the challenges of the ever-changing State. In the kitchen at Chorale Clinic, some of the patients are helping out with the cook. She explains the ingredients of the soup, and Kazuhiro Soda trains his camera on various patients having a go at cooking. They all carefully and somewhat gingerly approach this cooking exercise. One lady measures out her cups of rice in a slow methodical manner. Another lady struggles to chop up a cabbage. She tussles with the tough heart of the vegetable. She asks the cook Yamakawa how best to cut the cabbage, but she leaves it up her. Kazuhiro Soda wittily lets the camera linger on these ladies battle with the cabbage. It may take some time to make the soup, but the patients are engaged in occupational therapy. Once things are cooking, the patients get to the washing up, but there a few thrills and spills along the way, but the kitchen’s staff help out when necessary, advising the patients what to do. Mr Fuji walks into the café/restaurant and he’s there to eat today’s soup. The administrators make copious notes of their sales. Mr Fuji carefully counts his coins of yen, the exact change and he takes his seat. The Mini-Chora, the clinics restaurant, is a clean and tidy restaurant within the clinic, adorned with orchids. The kitchen prepares the dishes, salad and various other dishes for the day’s commerce. The Mini-Chora minimalist menu features vegetable soup and macaroni au gratin. Mr Fuji tucks into his food! Patients, receptionists, clinic workers and Dr Yamamoto all sit in the restaurant eating the dishes from the kitchen. The doctor enjoys his soup, some of the patients sit with the clinic’s workers, so there’s a general community feel to the restaurant. There is no segregation between staff and patients, which is also somewhat unusual, but is logical, considering Dr Yamamoto’s ethos. The clinic has a milk delivery business too, in which the patients can deliver milk to local businesses and residences. This gives some of the male patients an opportunity to work and socialise with the general community and the local dogs! Mr Fuji drives the van, with the milk in crates. Back at the clinic, the practicalities of running the milk delivery and the restaurant are explored. The money is counted; the spreadsheets are filled in, with incomings and outgoings. Pastel, the milk delivery business name, is actually a fairly profitable little enterprise for the clinic. Unfortunately, Mini-Chora, the restaurant business is more problematical. The administrator admits that running the businesses might be difficult without the aid of government grants, as they try to pay the patients small wages for their work. Without the grants, the businesses would probably go under. Many at the clinic are troubled by a new ‘Supporting Independence Of People With Disabilities’ (SIDP) bill that will pass in the Diet (Japanese parliament) and they know everything is going to change with funding for care and medication. The vagaries of ever changing Government in democracies, usually throw up more difficulties than solutions, due to whatever ideology is the fashion of the moment. Again, this a tale told many time all across the globe in democracies. Mental health and disability support are usually bottom of the pile and subject to constant change. Not ideal if you have a life-long disability or have a severe mental health condition. Compassion is considerably worse in dictatorships, with the threat of death through some eugenic madness. Less affluent developing nations have little to no civic facilities whatsoever, to deal with disabilities and mental ill health, which a disaster for sufferers. There is a meeting in the clinic where Saskia, the busy administrators/manager, chairs the proceedings. She explains that disability activists have made a list of demands to the Liberal Democracy Party and the SIPD bill, as well as the local government Okayama City Government, in which Chorale Clinic is situated. Politics is an ever present hobgoblin for the disabled and the mentally ill, but they have to be aware of what is going on. If the bill becomes law, the free medical benefits will come to an end and those entitled will have to pay 10% towards medical expenses. For those not able to work because of ill-health, this will have a major impact on their treatment. Ill people may see the doctor less or use cheaper, ineffective medicines. She mentions that Kojima, one of the middle aged patients, is worried what will happen after his parents die. Many of the patients still have to rely on their parents to survive, if they are lucky enough for their parents not to abandon them with the mental health taboo in Japan. He wants to have a meeting to discuss it. Amusingly, he wants to discuss the matter while drinking sake at Ozeki, like a social event style meeting. One of the patient’s wittily asks if they should discuss how to prepare for when their parent’s die or to just express their general anxiety about that fact, which is met with chuckles. Everyone is worried over the issue. Kojima is happy to chair the meeting, as he admits he will have no idea how to survive when he is on his own, in terms of the practicalities of finances. Money for food, bills, rent etc. he has no idea how much it costs to live or how to deal with it, as his mother takes care of practicalities for him. There seems to be general anxiety among many of the patients, who have had mental illness since being quite young and have had to rely on their parents to survive. Dr Yamamoto advises a patient to make various copies of files they have to fill in and then to file it at the clinic. The clinic’s administrators help the patients with the bureaucratic form filling for sickness and injury benefit. The ever ongoing saga of applying for benefits, welfare, social security, is an additional burden for sufferers of long term illness or lifelong disability. Dr. Yamamoto’s clinic is directly involved in helping his patients navigate this labyrinth, with the help of his staff. Kamazi explains the form filling situation when dealing with the government, the doctor and the patient, who is applying to receive benefits. Usually they pay after the doctor sends in the required information, but as a new government regime is now in place, they want ‘more information’ from the patient and doctor. This is usually the sign of an increasingly authoritarian government bureaucracy, unless it has been outsourced to some corporatist private enterprise, with a mandate to throw people off benefits! Dr. Yamamoto is replying to their questions, and needs it all copied for reference in the clinic, for his own evidence. The clinic also organises an end of year party for the patients and Mr Fuji buys a ticket for a small price, to cover the cost of the event. Dr. Yamamoto is discussing medication with a young male patient who has trouble sleeping. One of the tablets is knocking him out completely. Dr. Yamamoto suggests an alternative medication and a dose, to see how it goes. He wants to reduce one of his other tablets, perhaps there is an improvement in the patients’ health, apart from the sleeping issue. In the clinics pharmacy, a patient is working! She goes through the notes to prepare a prescription. The lady organises the tablets in a machine, which then packages them up into blister packs, for the patients and their daily rations of drugs. The youngish woman describes how she has suffered from eating disorders since she was a child. She admits that she find it had to socialise with people too. She says a man said something unpleasant to her and the big balloon inside her exploded. He said that her legs were fat and she blew! She tried desperately to find work, but no one would hire her, so Dr Yamamoto said she should learn how to make prescriptions, so she ended up working in the clinic’s pharmacy, which makes her very happy. She is very pleased that Dr. Yamamoto trusted her enough to learn the job, as the room that is off limits to the patients, for obvious reasons. Dr. Yamamoto’s judgement of his patients is quite intriguing, with an element of risk taking, but he gave this lady a responsible job and she is thriving. The lady from earlier, with bipolar disorder, discusses her medication with one of the receptionists, as she says she could hardly walk the previous day, due to one of the tablets being a muscle relaxant. She wonders if the dose maybe too strong, so they were going to look into it. The cornucopia of magic potions that psychiatrist use has an element of rational trial and error, trying find the correct dose for individual patients. 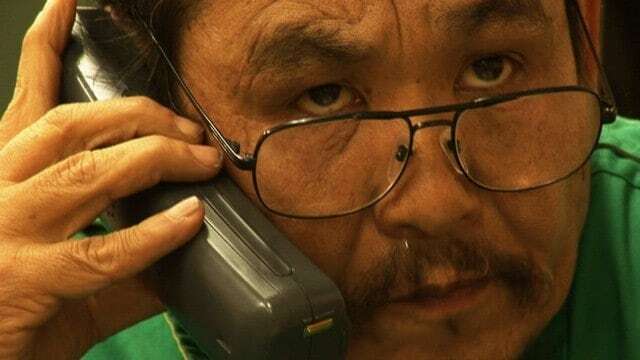 The ever present Sasaki, who buzzes around the clinic, is on the phone with the National Health Insurance Organisation. They are reducing the drug coverage of a patient from 42 days to 28 days; they are cutting 14 days off several medications needed for a patient’s prescription. The insurance company won’t pay for it. It is for a patient, now on his second review. Sasaki, with her other colleague, bemoan the harsh nature of the judgment and how the bureaucracy don’t listen to the health care professionals. Cost is more important than ill people, once again, a tale told a million times across the globe. Sasaki instinctively knows that many of the patients are going to lose many of their medications. Helping people heal is not in the insurance company’s interest, especially for those on welfare, it costs too much money! Both the administrators are at a loss. On the other end of the spectrum, a young woman from a pharmaceutical company is giving Dr. Yamamoto the hard sell about a new drug to treat schizophrenia. It can be taken in the long term and is being produced. Dr Yamamoto studiously considers the paper work from the company, as the lady, in her smart dress, is explaining that the new drug has been peer reviewed in the USA and not just tested in the company’s own lab. She asks if the doctor would like to try out the drug on some of his patients, to see the results himself. Mental health medication is big business, and Kazuhiro Soda reminds us of this fact with this little interlude. Kazuhiro Soda now films vistas of everyday life. There is a shot of a road with cars passing, a massive concrete bridge towering in the background. Cats scamper past the filmmaker. This is a favourite of Kazuhiro Soda, to shoot some cat action. In a subway, a couple of lads busk, singing songs, teenage girls watching. Some school girls gossip on the steps and mass of bicycles stretch off into the distance. A bunch of female friends laugh and chat as they go shopping. People are running or cycling to some unknown destination. Kazuhiro Soda’s cinematic eye scanning the everyday life of the urban environment is as intriguing as his search for the human drama within mental illness. At the home of the lady from the opening scene/consultation with Dr Yamamoto, she goes through the blister packs of her medication. She has tablets for her stomach. 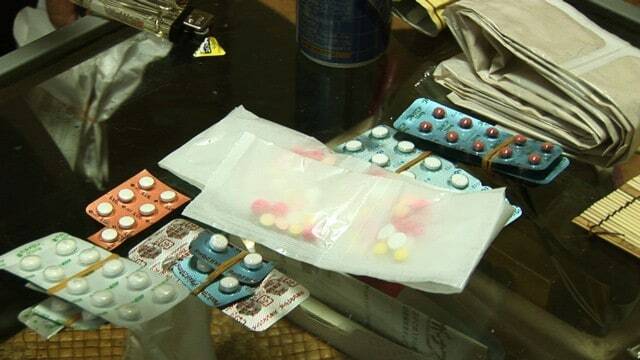 She has tablets for constipation, due to the other drugs causing that particularly affliction. She has tablets to prevent panic attacks. She has tablets to take before sleep. She knows which drugs could kill her, if she took too many, which is somewhat disconcerting. She says one of the sleeping pills could knock a normal person out for days, but it’ll help her get a few hours’ sleep. She is used to the drugs. She has anti-depressants and tranquilisers. She has anti-anxiety drugs for when she gets agitated. She is not sure that a human being should take this many drugs, but it is where she is at. She is on welfare, so she doesn’t have to pay for her drugs, but the laws are changing, where she’ll have to pay 10%. This is a heart-breaking message. The fact that she is too unwell to look after her children, after the sacrifices she made with her dignity, to feed them, is tragic. She treasures the letter. 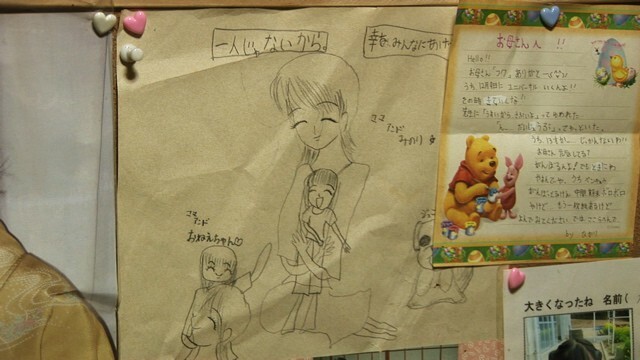 Her children send her drawings, as a happy family, writing that she is not alone. Again, this is heart-breaking. Kazuhiro Soda captures the simplicity of the personal messages and the chaotic nature of her human drama encoded in such concise messages of support. She shows a picture of her younger self, smiling, slender and pretty, even Kazuhiro Soda comments how different she looks. Medication, hardship and mental health illness have taken a toll on her body. 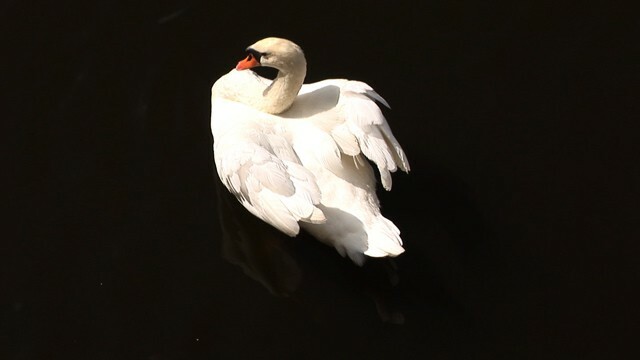 Images of bridges and pristine swans swim across the stream. Birds take flight and more bridges; Kazuhiro Soda intercuts the human drama with visual metaphors. 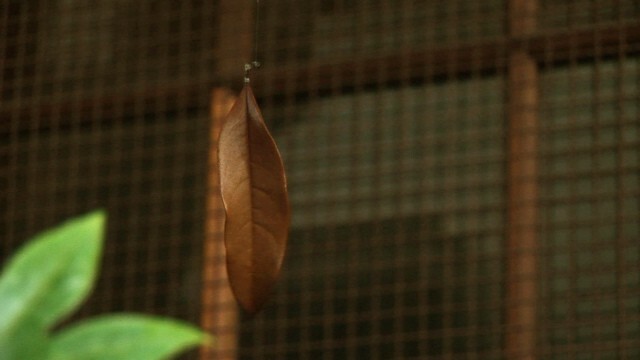 The dangling dry leaf appears once again, spinning. The bipolarity sufferer speaks to the camera, as she has had some good news. Her son Junichiro is going to see her. She has not seen him for three years due to her mental illness and she is delighted that he is back in her life. Kazuhiro Soda asks about their relationship. The lady says she had tried to contact him, but he refused her calls. He used to hang up as soon as he heard her voice. She thoughtfully says that he didn’t like what he was seeing with his mother’s behaviour, especially when she was seriously ill. She is naturally delighted that she is going to see him again. When mental ill health affects a member of a family, it is incredibly difficult for loved ones to deal with, even when they are supportive. From my own experience, when I suffered mental ill health, the damage a mentally ill person can cause on personal relationships can be a massive strain, but families will try their best. If mental ill health is taboo, like in Japan, it seems that family support evaporates for some individuals, probably exasperating the situation. It is a positive step that this lady’s son is willing to meet up with her again. She is so happy. Dr Yamamoto is in consultation with a middle aged man, and the conversation take a turn from the desperate, to the practical, to the philosophical. The man figures he has 20 to 30 years to live, but he is getting very nervous due to the government cutting welfare. Welfare is supposed to be there for people like himself, to protect those that are very vulnerable due to ill health, disability etc. from complete destitution. This safety net may disappear when he needs it the most. ‘I don’t feel any kindness in society anymore. The man wittily suggests money can be the best medicine for mental health patients. The doctor agrees, but the fix will only be temporary. The patient knows that money won’t solve all his problems, but it would make some problems of his life easier, which the doctor can’t disagree with. 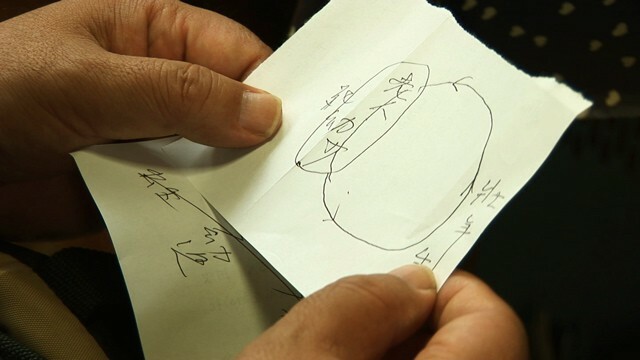 Dr Yamamoto now draws on of his doodles on a piece of paper giving the patient two philosophical/spiritual options. The doctor draws the cyclical, more Buddhist view of life, death and rebirth. The patient wonders where the end point for death is, but maybe it doesn’t end there. The doctor then draws the materialistic/scientific view as a line from birth to death. This line has a definite beginning and a definite end. The doctor asks him which one he prefers. The patient considers the problem at length and decides he wants to believe in the circular one, as it fits his Buddhist belief. He says he is preparing for landing, his metaphor for death, though the doctor thinks he might be transforming from his straight view of life to the circular one. From my Western straight line perspective, it is intriguing to witness this quite intense discussion about life and death, but with a distinct Japanese flavour. It is not about heaven or hell, but circular life and death. The doctor leaves the choice to his patient. If it will help him get through the night and day, it can only be positive. The irony is that the mentally ill patient is quite rational about this debate, even if he needs to prepare to land! Kojima is sat with a couple of the clinic’s workers and a fellow patient, they are discussing his circumstances. Kojima still lives with parents and mom fixes the meals. The professionals ask him if he wants to learn cooking. Kojima is more ambitious, he wants luxurious food like sushi, which they have a laugh about. Everyone admits sushi is tough to make. Kojima deals with anxieties with humour. Some of the ladies try give him advice about vegetables and how to cook them. They believe that he is going to have to learn to cook for himself and they contemplate what is the easiest meal are to make. Kojima recalls that he cooked once back in 1983, amusing in itself. Kojima decides that this cooking nonsense is too difficult and thinks he needs a wife. The professionals can’t help him with finding a wife, but they can teach him to cook! His fellow patient falls into a fit of laughter. Kojima finds a solution to his problem, but that is in itself a new problem to solve! Humour does cascade through the clinic, as some of the patients’ deal with their anxieties with comedy. Kazuhiro Sods breaks to children with nets and lines, at a stream/ runoff by the side of the road juxtaposed with a political poster The opposing party you can rely on- The Japanese communistic party. Kazuhiro Soda’s camera follows one of the patient’s at home and the home visits, to help him with his daily life. This is the man who has the ambition to be a farmer, and the philosophical discussion about life and death with Dr Yamamoto. His house is a hoarder’s paradise; piles of bags are piled up in one room. Stuff is piled in every nook and cranny. Piles of bedding form mountains. A lady is in the crammed kitchen, with the patient. His is peeling an onion which is making him cry. He slices up the onion with a kitchen implement. The lady is giving him a cooking lesson. He stir-fries the onions. He puts something is the microwave and the lady advises him how to use it. This is the method that Dr Yamamoto prefers to use with his patients, to re-teach them basic skills. They can regain some independence and more self-reliance, within the realm of their personal mental health illness. The mixture of skill learning, occupational therapy, as well socialising with a care worker, will help with confidence. The care worker teaching him writes down a recipe using doria sauce for two people, so he can try cook for himself and a guest. She writes in a room where masses of stuff are everywhere, apart from the carpet, which is clear. They have some space to interact. The patient has a look of world weariness, with a slightly drugged demeanour, but he concentrates hard and says he’ll remember how to do the recipe. It is challenging for him, but he’s absolutely focused. They discuss what they will cook next and decide upon boiled mackerel with soy sauce and miso soup. This is a joint decision. The patient has a certain amount of allocated time to learn cooking from this particular care worker specialist. She fills in the required forms, about the activities they have concluded today, for Home help Services Log! The patient discusses his illness with Kazuhiro Soda. He does not know what he is capable of at any moment, as his ill health can occasionally be all encompassing. ‘Something in my head. I call it the invader. He has a little Buddhist shrine next to his vinyl turntable. Once in every five years he will do something when he is not in control of himself, the invader takes over. His mental health illness may overcome him, but he accepts that he will be responsible for whatever happens. He’ll admit responsibility if he ends up in court, for anything he does. He has a strong ethical stance, no matter how disadvantaged he is with his mental illness. This must be a very difficult to deal with, not knowing when you’re going to blink out and the invader takes control. He is matter of fact about the challenges and the fears of his illness. Kazuhiro Soda is now in the home of the schizophrenic lady with the glasses, who told her story of tragedy earlier. She has Home Help Services care worker helping her clean the house. She works like a busy bee, but she doesn’t just let the patient watch. She gets her working and cleaning too. She gets her cleaning the floor in another part of the apartment, and jokes that it’ll help her lose some weight. She wants her to try a little bit more cleaning. Kazuhiro Soda focuses on her efforts at cleaning the floor. It interesting to note that initially she was in a daze like state, when the worker was cleaning the floor; chatting away .She seems to snap into focus, when she is actively doing something. She takes her time, cleaning the floor the best she can. The care worker wittily encourages her, telling her that she’ll become slimmer. The care worker constantly reassures and encourages her, telling her that she is doing a good job. She mentions that she hasn’t done any cleaning for a while; she has been back in the mental hospital, but she pushes herself on to do some more cleaning. The stimulation seems to help her concentrate and induce her to move. The friendly, positive attitude of the home helper also will help. The care worker reminds the lady to take a bath once in a while. She fills out the required form for today’s Home Help Services Log, with some additional information about the patient’s day to day routine. It turns out she goes to bed at 2am and gets up at 6am, as she has trouble sleeping, no wonder she is in a daze. Administration and organised clerical skills are an essential part of any health service, so the correct information is readily available; a patients details, doctors notes, medication, as well making sure the patients are receiving their adequate care and home help. This information must be available when dealing with the State or Insurance companies too. Health and healing is a complicated endeavour. The schizophrenic patient, who has ambitions to be a farmer, is back at the clinic, reading some Buddhist sutras, in the clinic’s reception area. Ironically, the female schizophrenic patient, with the glasses, calls into the clinic asking where the bank his. Her fellow patient helpfully gives her directions, which is a sweet moment of footage by Kazuhiro Soda. It is busy in the reception when Sasaki answers a phone call. The conversation takes a turn towards the absurd. ‘You had fun eating tangerines? Howls of laughter erupt down the phone. Sasaki thanks the woman at the end of the phone for a delicious meal. Sasaki tells the lady to ring whenever she wants. Sasaki says she visits a patient once a month, as it is difficult for the lady to get to the clinic, and she doesn’t have many friends. As they are of a similar age, so she visits her to play cards, go for a short walk, have a meal, sing karaoke, just have a little bit of fun. Even the administrators are involved in extracurricular visits, to help those patients in needs. They have a passion for this difficult vocation. All the administrative staff are going through local events listings to put events up on the notice board, as many patients have problems enjoying their weekends. The wittily and pragmatically admit that the events they are looking for are the cheapest, as many of the patients have little money. Life has to be lived and getting out enjoying a free and low cost event, is good therapy. In terms of the clinics finances, they say Dr Yamamoto is very generous. He usually doesn’t charge for his psychotherapy. They joke that he does this as some kind of hobby. 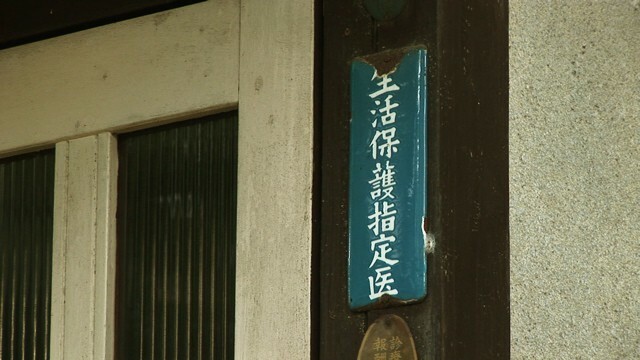 The clinic is surviving as his salary is so low, 100,000 yen a month. Amusingly, it used to be zero. He does have lots of staff and the cost of that is significant, but the doctor wants enough people to serve his patients effectively, otherwise they would have less time to deal with the patients individually. Care takes time and effort, Dr Yamamoto is making sure his patients get both. You don’t receive the quick brush off at Chorale Clinic, unlike the factory line experience at a regular clinic. The doctor and his staff are passionate about this vocation, they attempt to heal patients with complex and complicated mental health problems. The administrators joke that they earn more than the doctor. He gets his small salary, his social security and some lecture fees. He even lectures at venues that are low budget, as he tries to get his experience out there to the poorer areas where his expertise is desperately needed. Healing is more important that cash for Dr Yamamoto personally, though he’ll do what he can to raise funds for the clinic. Kazuhiro Soda breaks the narrative with a teenage game of soccer, more bridges and the traffic going over them, as old men walk along a path. Aspects of everyday life, that most of the patients would struggle with. Dr Yamamoto is teaching at a lecture course for nurses. He opens up the class with a little exercise where he asks the nurses to draw what he says, but they can’t ask him any questions. He asks the class to draw a square and on top of that, draw three circles evenly. He gives vague instructions. The nurses try to figure out what they are drawing on their note paper. Kazuhiro Soda emphases the drawings and how different they all are. The doctor asks the class to compare their drawings. The doctor explains that every drawing is different, due the result of one-way communication. ‘The best thing is to ask the patients. The idea of dialogue is essential to Dr Yamamoto clinical method which chimes with the ideas of the philosopher Martin Buber, in which the act of communication, of encounter, is perhaps the fundamental philosophical underpinning of human existence. It is as if Dr Yamamoto is taking some of these ideas of the encounter and using them to heal. After the lecture a nurse asks Dr Yamamoto about a patient she is rehabilitating for broken bones. When she met the patient, she found out that her injuries were caused by a suicide attempt. The overseeing doctor, who asked her to get involved with the rehabilitation, is not a mental health specialist. The nurse thinks the patient is suffering mental illness and needs some advice. None of the patients’ family wants to talk about her injuries or how she got them; mental illness is taboo to them! The nurse has found herself in a difficult position. The patient had jumped from the second floor of the house. Her mother doesn’t want her to do the rehabilitation work, which involves going up and down the stairs. The family don’t want her to heal quickly, so she can’t go upstairs, but also they don’t want to discuss her mental illness. This is a very tricky for the nurse. The patient herself wants to be rehabilitated, so the nurse is stuck in the middle. Dr Yamamoto advises supporting the patient and carefully fulfilling her wishes, but the parents have some power too, it is going to be difficult. She will have to work slowly, a little at a time and guide the patient to make her own decisions, by asking what she wants to do. The nurse has to be supportive, so the patient can slowly regain her independence, but the nurse will have to make delicate moves. A heron takes flight across a river. A white cat soaks in the sun. People walk across an industrial style bridge (bridges again). A dog in a cycle basket! The majority of the patients featured are generally introverted, even if talkative. Kojima is generally happy go lucky and uses humour, but in a restrained way. We now meet a patient called Sugano, who has a massive personality, extremely intelligent and creative. Madness can strike at anyone, in unusual ways. The human consciousness is as fragile as the body, but once things are scrambled, people approach their illness differently. Some retreat into themselves, whilst others want to expresses their pain and their joy, through art, through the energy of their personality. Sugano contemplates a cracked piece of glass, fixed with tape that is just holding within its frame, in the clinic. Sugano is talking to a lady at the clinic. ‘My heart is like this glass. This glass emits something different from normal glass. The Chinese character for “kindness” is a combination of “man” and “grief”. With a wheezy laugh, he raises his arm and shouts ‘cut’ to Soda, with a big guffaw. Hilariously Kazuhiro Soda mumbles ‘What the hell’ as Sugano takes the piss. He then instantly switches back to serious thoughts. He shouts ‘cut’ once again. Sugano is a stocky man, with close cropped hair, glasses, and super nicotine stained teeth. He switches between contemplation and explosions of energy, released with hysterical laughter. He can’t contain his own laughter, without moving about. He tries tricks with chopsticks and takes it to the next level, when he lights up two cigarettes, and sticks them up his noise, demonstrating his steam train affectation, which is utterly crazy and funny. There seem to be a horde of half smoked cigarettes in the ashtray. An elderly male patient lies on the floor sighing, as the Sugano watches on, taking a drink. He now recites a poetic prayer by Mother Theresa from memory. He is obviously well read, exploring poetic, philosophical and spiritual ideas. He enjoys exploring the roots of language; Sugano is man with a fine intelligence. He recites the Mother Theresa poem, as the man lies out on the floor in some kind of internal distress. He is hoping the words may give solace, as he continues to smoke his posse of cigarettes. He discusses the bible. The idea that good and evil are in constant companionship is a matter he considers. Sugano contemplates ethics, the nature of evil and the shades of grey that might be needed to confront the problem of evil. There are no easy answers. Sugano has known Dr Yamamoto for 25 years. They met when he was at high school. He put himself under an eighteen hour regime of study, so he didn’t get much sleep. This was a young lad with an impossibly high ambition to succeed, so he left himself six hours to sleep, commute, eat and take a bath. He did this utterly impossible routine for 6 months and finally collapsed. He took studying to the new heights of obsession and genuine insanity, he crashed! Wittily, he recounts that when he took tests at school, he decided to mark the quality of his teachers and their abilities with pithy remarks, rather than answer the questions. Obviously the teachers became concerned that this bright student was going insane. They decided he’d gone crazy and he was sent to see Dr Yamamoto. At this moment in his exposition, his fellow patient rises from his slumber chuckling, and sparks up a cigarette. Dr Yamamoto advised him to turn up for the required 75 days, as that was all he needed to graduate high school, back then. He prescribed him some drugs too. Sugano recalls that the drugs back then had awful side effects; he received massive headaches and could only speak with a stutter. Dr Yamamoto tried to get this hyper young lad to slow down and take his time. Sugano amusingly tries to scam Kazuhiro Soda out of some cash for his raconteur skills. As Sugano is an immense chain smoker, he says that he needs cash to fix his teeth. They are a spectacular set of nicotine stained teeth. Sugano is certainly self-aware and wittily adds that he needs fixed teeth, so he can speak properly. He certainly has no problem speaking clearly. Kazuhiro Soda films various patients smoking, until he focuses his attention on a bright elderly man, in glasses. This gentleman has been dealing with his mental illness for over 40 years, when he was diagnosed as a schizophrenic at 20. Now that he is 60. He has dealt with his illness most of his lifetime. In a reversal of roles, the patient asks Kazuhiro Soda the nature and theme of his film, which the filmmaker kindly answers. The world of mental illness is hidden behind a curtain. Kazuhiro Soda gives his reason in three succinct sentences and we have this magnificent film. This gentleman has many erudite things to say and takes himself as an example on how to open up about mental illness to those around him. This particular gentleman must have a really strong will to accept his illness, as mental illness can entail a morbid obsession with unhealthy self-absorption and self-loathing. This patient found a way out of his own particular rabbit hole and accommodated his illnesses within his life around the age of 25. When he started to feel better and understand his illness, he observed and empathised with ‘normal’ people. Does that mean you’re your perfect? Understanding that most healthy people are flawed and under some sort of external pressure, he could empathise with the shortcomings of ‘normal’ and ‘regular’ people, so that helped put his illness in context. He could still contribute to wider society and he manged to work for a company and flourish. This is how he has been living and fighting ever since his diagnoses, so he can live a productive life. The scraggy white cat prowls around the clinic once again, with Kazuhiro Soda cameras’ eye following this slinky feline creature. A young man says he is joining a band to his friends at Chorale Clinic. His friends are surprised that he is joining a regular band and consider him very brave. The response unsettles him, but his friends still try to encourage him. One of his friends tried to joining a local volleyball team, but he found it difficult as he constantly worried about what the rest of the team thought of him, due to his mental illness. The doctor reaches into William Blake style metaphors, but he is correct, if you don’t try you’ll never know the outcome. The young man tells the doctor of his worries, but he say he’ll be OK. He doesn’t want his patient’s self-confidence undermined if he registers himself disabled, but it could be useful. I recommend that you register. These are the tricky questions of self-worth amongst the younger mentally ill patients. It is pragmatic to look for the benefits, but maybe not, if it affects your mental well-being. In the end it is up to the patient to decide what he thinks is best, but with these issues in mind. Sugano is holding court with several of the ladies who receive treatment at the clinic. He just can’t resist punning Kazuhiro Soda’s name by asking Mr Soda to get him a Soda, taking the piss out of the director. This goes down well with the ladies, to much mirth. Sugano shows the director photos that he’s taken, that have meaning to him. Little poems are among the photographs. There is picture of his mother, who passed away thirteen years ago. There is an action shot of his pet white snake eating a mouse. There is a photograph of a dandelion in flower. Sugano notes that their stalks are very short, as they’ve been stepped on many times, but still they survive and flower; an apt metaphor and an example for survival. The ladies read some of his concise and eloquent poem, they are all impressed. There is a picture of the young Sugano, and the ladies joke that he looked like the TV actor Masaki Kanda, and it is shame that he’s changed so much. He has also written some verse about Dr Yamamoto called Diamond. A little poem called Smile is particularly effective. There is a photo with his fingers in cross position accompanying the poem. Sugano is thoughtful through the recital, apart from moments of mirth, when the ladies comment on his youthful photos. In the final scene of the film, the camera casts its eye upon an older patient using the clinics phone, to ring up the various bureaucracies. He had received some forms to request city housing for the disabled. This particular character is homeless, abrupt, a bit of a rascal, but uses humorous sarcasm, as he speaks to the various departments. His cynicism knows no bounds. ‘So, you want me to visit you for nothing? ‘In short, what would happen if I received beggar benefits? You got me right, beggar benefits. It was my “second home”. This particularly gentleman, Mr Takada has arrived at the clinic late, and one of the administrators is getting itchy, as it is near to closing time for Chorale Clinic. He doesn’t interrupt, but reminds him it is near closing time, which Mr Takada promptly ignores. He’s had enough and he is telling a good tale instead. The staff members continue around him, tidying up, getting somewhat impatient, as he spins his yarn to the bureaucrats. This is an amusing moment to close the documentary. The elderly patient doesn’t seem to give a hoot, even though he has a fistful of forms. He goes through the routine of saying he has no identification, no health insurance, nothing, not even a residence. He sparks up a cigarette and takes a huge drag, which creates more ash than cigarette, which eventually drops on the freshly cleaned floor! The clinic’s last remaining staff member only intervenes once he takes the phone outside to talk, whilst smoking a cigarette in one of the few no smoking zones. This particularly patient is an elderly rebel with a shrewd wit. He doesn’t seem too bothered about his somewhat desperate situation. The administrator asks him he is staying at a capsule hotel, but he says that he is refused due to his special shoes, that support his legs. His finds this fact amusing. He walks to his scooter, obviously driven without a license, and he revs it up and roars away into the urban night. He has nowhere to go and not a care in the world. This is a paradoxical end to this magnificent documentary. It starts with the fragility that ensues with mental ill health, with those suffering from extreme existential pain. The documentary finishes with the blasé Mr Takada, who is extremely tough, a natural survivor and a trickster. The documentary does finishes on a tragic note, as a dedication is given to three patients featured in the film. They have passed away sometime during filming up to the film’s release. In Kazuhiro Soda’s style, no details are given, but this a reminder that mental health is a very complex issue, no matter how dedicated Dr Yamamoto and his staff are. “Mental” is an intense documentary that goes through a whole array of emotions. Kazuhiro Soda dives straight into the complex issues around mental health, observing patients with suicidal urges, in varying emotional states, from being emotionless to extreme distress. There is no doubt that this can be difficult to watch, but the matter of fact explanations by the patients breeds compassion. The documentary may start in a Shakespearean tragic vein, but it opens out into something more hopeful. The patients and health professionals try to find a path that the mentally ill can follow. Sufferers need to regain a sense of independence that can accommodate their illness and hopefully rebuild their self-worth and self-confidence. The challenge before Dr Yamamoto and his staff is truly epic in scope and the obstacles are manifold, but they attempt to heal! There is the diagnosis and treatment of the mental illness itself. There are the problems around dealing with the State and insurance companies, as mentally ill patients are usually so ill they are incapable of regular work. To make matters even more difficult, the taboo towards mental illness in Japan is a major hurdle that must be tackled. Mentally ill people need the support in their families and communities without being ostracised. Kazuhiro Soda keeps his camera’s eye on the ball, exploring the facets and problems surrounding mental health issues in Japan. His concise, almost laid back style is perfect in exploring this complicated issue within Japanese society. He keeps his camera work fairly simple, but he uses close-ups effectively in moments of high drama with the patients, or he uses it, ironically, to lighten the mood. A patient’s struggle chopping up a cabbage is a witty use of the close-up, for a moment of dry humour. Kazuhiro Soda breaks up the narrative with cinematic shots of birds in flight, vistas of bridges, faces at the clinic, cats walking and dangling dry leaves spinning. He picks his visual metaphors excellently and keeps returning to them, in between the dramas of the patients and their struggles. The building of bridges between the healthy and the mentally ill seems to be the point of this documentary. Kazuhiro Soda has created an unflinching but humane documentary filled with compassion, humour, despair and hope.